Posted: Wednesday, July 18, 2018. 9:04 am CST. those of Breaking Belize News. By Richard Harrison: The effort to UNITE 15,000 Belizeans in Belmopan for this years historic Independence Day on Sep 21, 2018 is well under way. We thank all the individuals, companies, organizations and institutions of Belize who have been welcoming our organizing committee members into your inbox, your tag list, your homes and offices…especially those that have already committed to helping in one way or the other. We are in contact with the National Celebrations Committee, the central and cities, towns and village governments, especially the City of Belmopan, the media houses, the political parties, the churches, the unions and associations, the security and safety services, the various industry leaders, education institutions, entertainment organizations, food and beverage providers, ethnic and cultural organizations, transportation companies, the investment community, the diplomatic corps, among others….and we are making breakthrough in all areas…as there is confidence in our organizational capacity and capability. There is a lot of interest in this effort from all sides…because it is non-political, and in goodwill accommodates all the parts of Belize…it is a UNITY effort. Arguments for and against going to the ICJ have been raging in social and other media…but one thing every Belizean agree on is that Belize is for Belizeans…all 8,867 square miles of it. 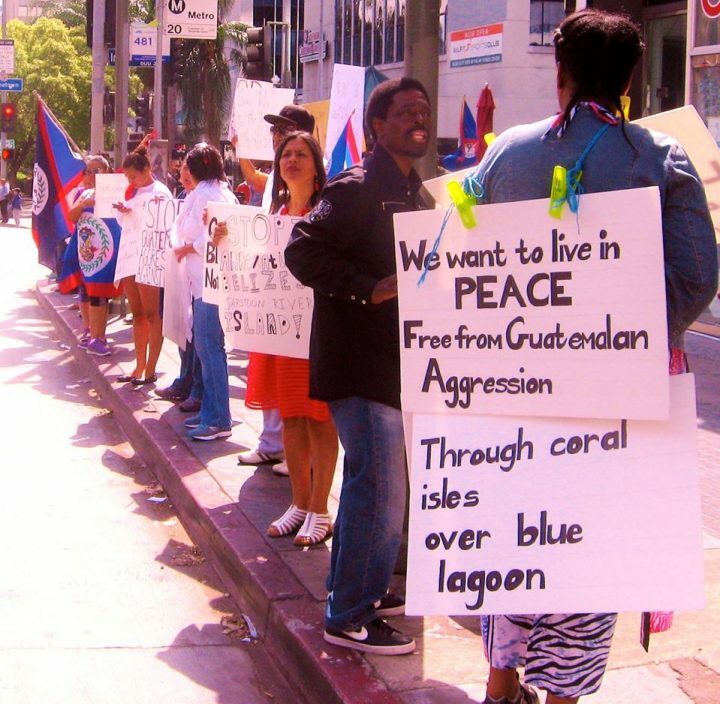 Both sides of the ICJ argument believe that Belize’s self-determination, independence and sovereignty should be upheld. Regardless of whether Belizeans choose yes or no to ICJ…they will be better off united than divided…hence the reason for this massive effort of UNITY….as never before have more than 10,000 Belizeans gathered together. Therefore, a grand show of patriotic national unity on this Independence Day will be an important signal to people all over the world…to those that already support us…and to those that need convincing…that there should be no mistake in what the people of Belize desire…to be united, independent and sovereign over all its territory….living in peace and having good relations with all our neighbours. We will invite diplomats of the world…friendly citizens of every country…international media and publication companies…Google and Al Jazeera especially…and we will produce our own photography, videography and digital media for distribution worldwide. We will tour them across the country, especially to our border areas, including but not limited to Sarstoon Island and river. Belize will reach out to the world in a way it never has before…and our relations with the UK, Israel, USA and Guatemala will be drastically improved…always respecting the right to self-determination of the people of Belize. The majority of people will make their way to Belmopan in private and public transportation…we will ask across the board for a special discount on fuel and public transportation for that day…churches, schools and private companies with buses can collect contributions from their members to finance their participation…live bands, DJs, models and other entertainment groups can register with us and use our registration to seek out private sponsors for their participation….even small companies are encouraged to put together a float for the parade….all are encouraged to make presentations as Belizean to the bone as possible…using inexpensive natural materials…we need mostly people and waving Belize flags. This is about Self-determination, Independence and Sovereignty…no one should wait around for free this and free that…everyone must stand up to do their fair share…after all Belize is for every Belizean.